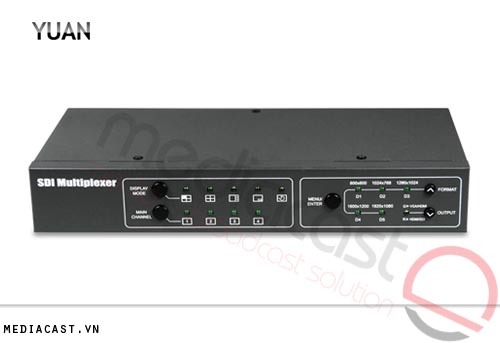 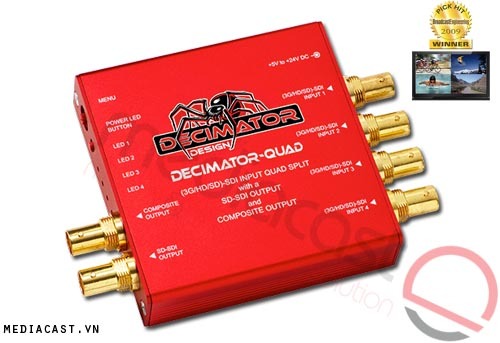 Suitable for use in the field or studio the Decimator QUAD 4 Channel Multi-Viewer with SDI & Composite Outputs provides you with an SD/HD/3G-SDI quad splitter or multiplexer. 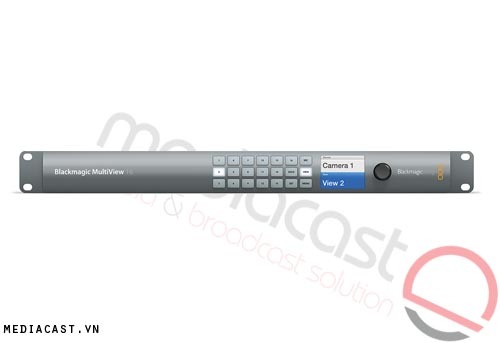 It features four auto detecting SDI inputs, and outputs to SDI and a downconverted composite video signal. 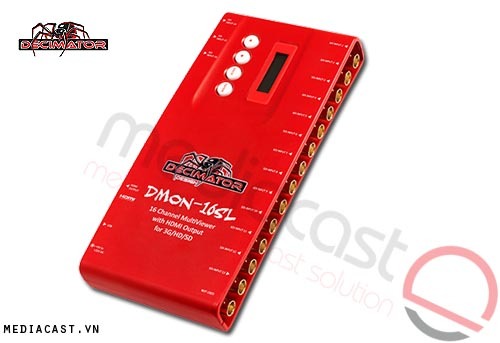 The unit's built-in down-converter allows you to select from NTSC or PAL composite out. 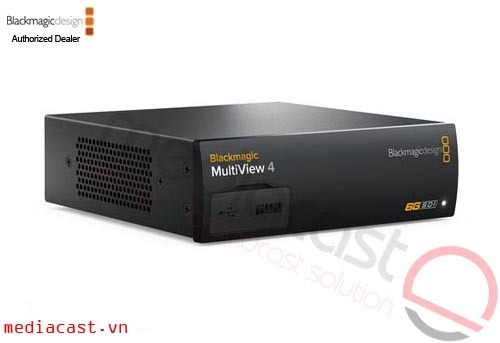 Each input is independent and features low latency buffering, which allows the device to display all four inputs on the optional monitor screen simultaneously, even when each input signal is a different format or frame rate. 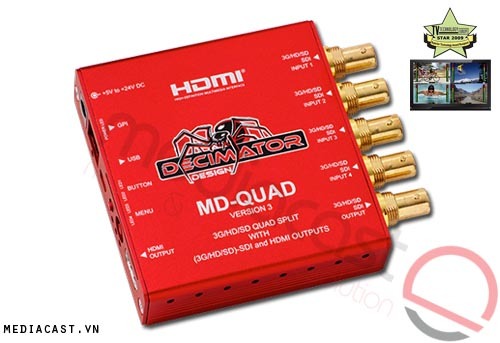 The output signal also supports different aspect ratios being displayed on the screen of your monitor's SDI or composite input. 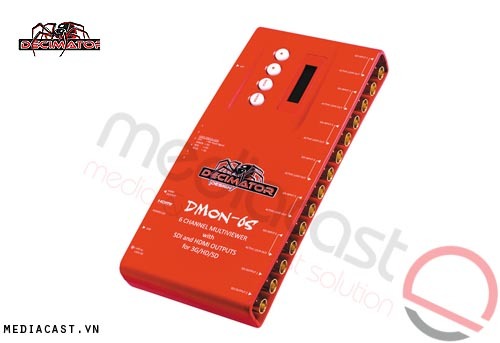 A rotary encoder and push button selector allows you to navigate and select from the menu option without setting DIP switches or connecting to a computer. 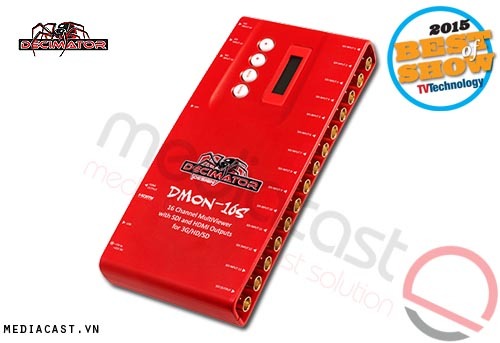 The menu functions allows you to select your output format, and a locking power socket minimizes the chance of power loss by a kick out of the power cable. 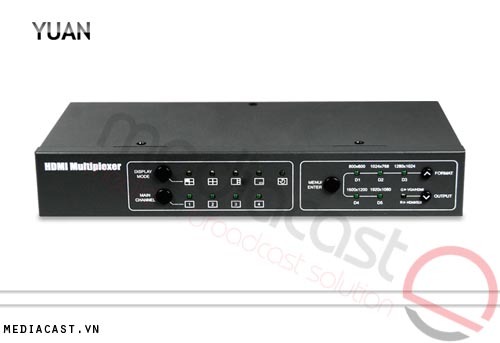 All 4 inputs can be displayed simultaneously on a single output. 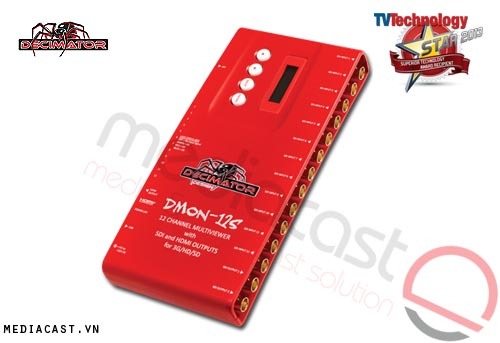 The unit features a threaded locking power connector that helps guard against kick outs. 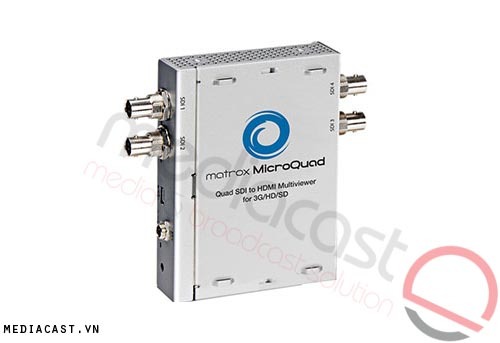 Box Dimensions (LxWxH) 10.2 x 6.3 x 2.6"